Jonathan Mariner is a private investor, entrepreneur, and independent board member with more than two decades of experience working in major league sports. Jonathan retired from Major League Baseball (MLB) in 2015. Prior to his retirement, he served as chief investment officer (CIO) for MLB for a year and a half, overseeing approximately $2 billion in combined league-wide pension assets and MLB’s strategic investment fund. He was also president of BASES, the league’s captive insurance company providing property and casualty insurance coverage to all 30 MLB teams and ballparks. 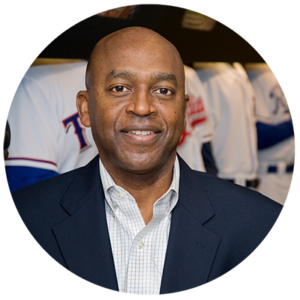 Before serving as CIO, Jonathan spent more than 12 years as executive vice president and chief financial officer (CFO) of MLB, overseeing MLB’s treasury, budgeting, league- and team-related financial reporting, and risk management activities. He also managed MLB’s $2 billion league-wide credit facility and provided quarterly updates at the MLB owner’s meetings on the industry’s financial health. His career in professional sports started in 1992, with an eight-year stint as executive vice president and CFO of the Florida Marlins Baseball Club. Jonathan concurrently served as vice president and CFO of the Florida Panthers Hockey Club for the team’s initial startup and inaugural seasons in 1993 and 1994, and as vice president and CFO for Pro Player Stadium, the multi-use sports complex that was home to both the Florida Marlins and Miami Dolphins at the time. Jonathan currently sits on the board of directors of McGraw-Hill Education; the Investor’s Exchange (IEX); and the cloud-based HR and payroll company Ultimate Software. He is active on a number of charitable, foundation, and advisory boards, including the University of Virginia’s Darden Graduate Business School Board of Trustees, Little League Baseball’s board of directors, and the Knight Commission on Intercollegiate Athletics. Jonathan graduated from the University of Virginia with a bachelor’s degree in accounting and received his MBA from Harvard Business School. He’s been featured on the cover of CFO Magazine, and made the top 10 in Sports Illustrated’s annual listing of the “101 Most Influential Minorities in Sports.” Jonathan has been a frequent public speaker on the topic of the business of professional sports, including participating in symposiums at Harvard Business School, the Yale School of Management, Wharton, Princeton, MIT’s Sloan School, NYU’s Stern School, Columbia, the Booth School at the University of Chicago, and the Darden School at the University of Virginia. He’s a former Certified Public Accountant, and has participated in major industry conferences, such as the CFO Forum and the GSV Pioneer Summit. Amanda is a strategic leader with a track record of identifying, building and scaling new businesses. She’s an astute entrepreneur and a proven and innovative business expansion and operational executive. She has spent her career creating, marketing and operating new businesses and startups, initially in investment banking and then in the technology industry. Amanda is currently an entrepreneur in residence at Citi Ventures. As founder of Accelerate Venture Group, she provides strategic advisory and consulting expertise to companies and startups in multiple industries including fintech and payments, digital media and sports technology sectors.) Amanda is also a venture partner at NextGen Venture Partners investing, advising portfolio companies. Amanda was most recently a member of the Business Development leadership team covering First Data’s global and strategic clients and created new partnerships between First Data and companies and startups in fintech and payments. Amanda led and grew the partnership with Silicon Valley Bank and its clients and established and was the program manager of Commerce.Innovated, a fintech and commerce accelerator jointly run with Silicon Valley Bank. Prior to that Amanda was president at Binary Event Network, Inc., (BEN) / Pivit, a real-time predictive analytics and mobile-social gaming startup in New York. At BEN, Amanda was responsible for all aspects of the business, including product, technology, business strategy, revenue, user growth and capital raising. Before joining BEN Amanda was head of business development at USA TODAY Sports Media Group responsible for investments, M&A, partnerships and strategic initiatives across all business platforms. At Major League Soccer/Soccer United Marketing, Amanda was instrumental in building the digital media business including a cross-platform advertising and sponsorship digital network, plus mobile app and livestreaming platforms. She has structured and completed numerous innovative partnerships and acquisitions across multiple digital media and technology platforms to drive growth and revenue. 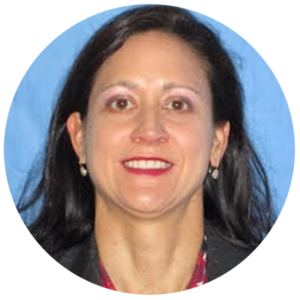 Before transitioning to technology, Amanda advised, structured and closed multi-billion-dollar transactions as an investment banker at Citigroup, Inc., solving complex regulatory, operational and legal issues. She began her career as an attorney with Milbank, Tweed, Hadley & McCloy and as a barrister and solicitor at Arnold Bloch Leibler. Amanda holds degrees from Queensland University of Technology, Securities Institute of Australia and New York University.